Photo by Grace and Gold Studio. 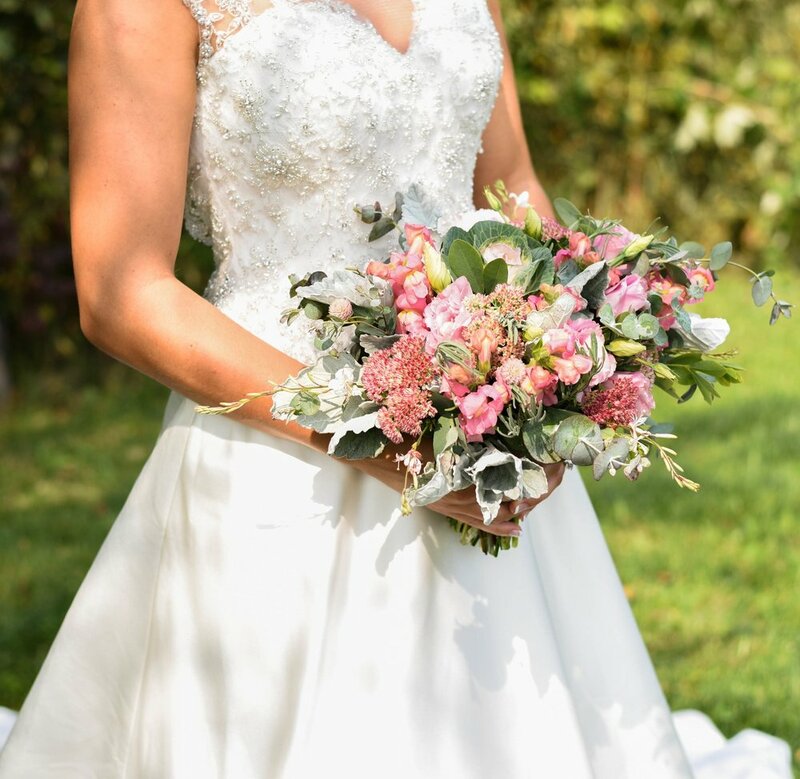 Sylvia's 4th Line Florals is a flower farm and a full service wedding florist; our experienced floral team provides everything from design consultation to delivery. We grow all of our flowers in our fields and greenhouses just outside of Perth, Ontario. With an abundance of blooms to choose from, there is always something in to suit every couple’s theme, colour scheme, taste, and budget. Couples love the experience of strolling through our fields before their wedding and helping to choose the flowers for their special day. Local flowers are fresh and season appropriate. They are also much kinder to our environment. Many couples are looking for a personal experience and it adds meaning to their wedding day to be able to see the flowers growing and get to know the growers, too! Flowers are such a special and important part of any wedding celebration. We love to help couples and their families realize their wedding dreams! 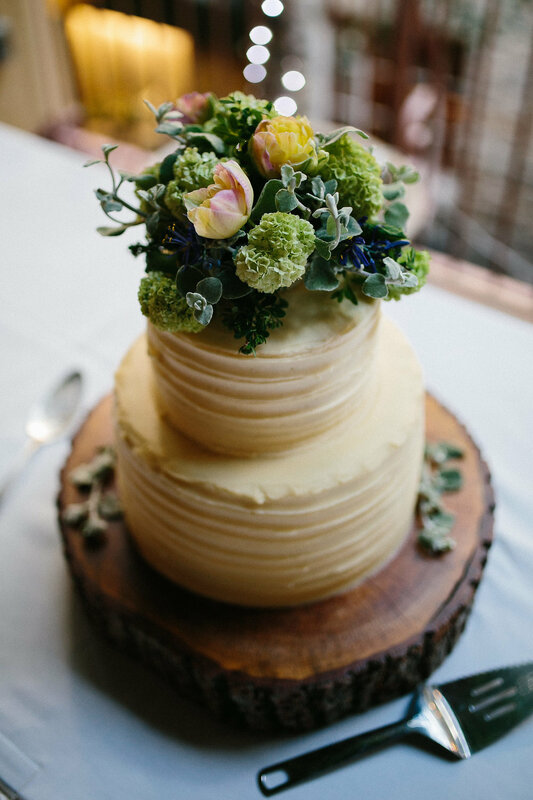 Since we are a flower farm and use all of our own blooms, our wedding planning process is slightly different than a conventional florist's. Our growing season is from mid May until mid October. When you contact Sylvia's 4th Line Florals we will ask you some questions to get an idea of what you are looking for. Ideally you would fill out our questionnaire and send us a few photos of what inspires you. Soon thereafter, we like to set up an in-person consultation. We try not to book more than one or two weddings per day so the dates can fill up quickly. An initial consultation (usually in the Spring) is a brainstorming session for colour, style, and theme. At this time we decide if we are going to grow any flowers specifically for your wedding. Based on budget, style and theme requirements, a plan and quote is solidified at this stage. When the week of the wedding arrives, the couple and whoever they wish to accompany them are invited to visit the farm, stroll through the field, and select flowers based on what is blooming. Each couple goes home with a test bouquet they have "picked" themselves! Two days prior to the wedding we pick the flowers and condition them. The day before the wedding we arrange and package the flowers ready for delivery on the night before or the day of the wedding. Throughout the creative process we try to keep the special themes and tastes of each couple in mind, resulting in gorgeous custom floral creations every time! Using local flowers also means you can incorporate large and unique arrangements into your wedding affordably. Please describe your wedding dress. What colours, shapes and styles are you imagining? Do you have any feature flowers in mind? Are there any flowers you absolutely love? Describe the feeling of the ceremony and your thoughts on flowers and overall design. Arbour, garland, large urns, sap cans ect.. Describe the table shape, layout and linens you have chosen. (For your table flowers) Round, square, long runners, burlap..
Feel free to share a Pinterest page or any other links to photos of styles, colour palettes, or designs you like. When I found Sylvia’s Plant Place near Perth, Ontario online, I was so excited to know there was a local flower farm where I might choose fresh local flowers for our wedding in Perth. But when I called from Toronto to speak to Sylvia I was even more excited to meet her. Her demeanor was warm and reassuring that we could choose what was available the week before the wedding with my girls, and have them all ready for delivery and setup the weekend of our big day. What an amazing experience we had walking the farm choosing flowers to match our Scottish-Canadian-American theme. Sylvia and her staff listened to what was important to me and were able to guide me where I wasn’t sure. She put all my ideas into a nice neat package and helped create exactly what I envisioned.